Interested? Click HERE for pricing! CLICK HERE TO EXPLORE THE NEW FBS-HS! 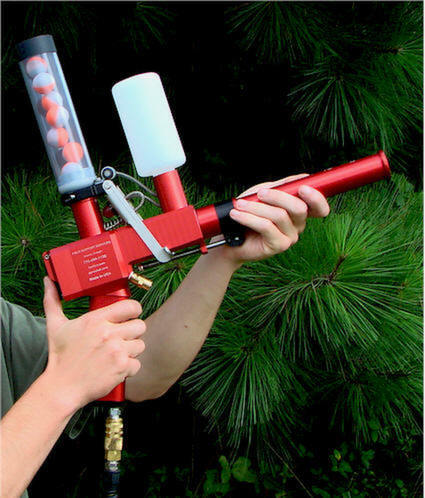 The PyroShot High Speed (HS) is a gas-propelled, thumb-trigger-activated, incendiary sphere hand-launcher. Compatible with Dragon Eggs, the PyroShot HS uses compressed gas to fire upwards of 100 m (320 ft.) @ max operating pressure of 160 psi. For more information about compressed gas click HERE. The HSLR (Long Range) will about double that distance, BUT that distance is only attainable with weighted ammunition. Weighted ammo is now available from the factory at SEI, but we haven’t had a chance to test it in the field yet. Ammo can also be weighted by hand, which means putting a small hole in the Dragon Egg and feeding BBs in, then sealing the hole with tape or glue. The HSes are bolt together, so the longer handle and longer barrel which constitute the LR can be changed out in a matter of minutes. Most operators don't need as much distance as they originally think, we have discovered. The GA DNR boys in Albany ordered three LRs, then received standard HS barrels and handles until the long ones got made. After a couple of days in the field, they told us to cancel the LRs as the standard HSes already shoot farther than they really need. They dial the gas pressure back to 40 psi most of the time just to keep the range down. The HSBF (BackFire) uses a shorter barrel and handle for compactness, which is very useful for carrying to remote sites in a backpack, etc. Several of our clients strongly prefer the HSBF over the standard model HS, telling us that the ease of transport far outweighs the approximately 10 percent reduction in range. As with the HSLR, the HSBF barrel and handle can be changed out in the field in a matter of minutes. The barrel is pop out pop in, and the handle is held on with one bolt. 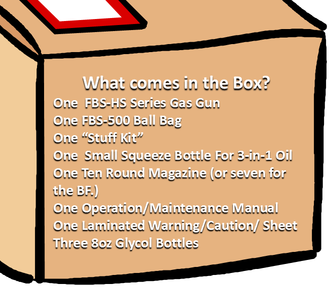 Please note that interchangeable handle/barrel sets are for PyroShot HSes serial number 301 and above. Earlier ‘classic’ units had the handles welded onto the receiver. The primary function of the PyroShot HS is to replace the use of drip torches for ground ignition operations. It’s a labor saving, barrier defeating device – designed to allow the operator to place spot fire at a location that may be difficult or impossible to reach with a torch. Ditches, canals, creeks, bogs, briars, fences, thickets and deep drainages are just some of the obstacles that the PyroShot HS can help your feet avoid, while still putting fire where you need it. Since there is no open flame, the PyroShot HS can safely be used in areas where a drip torch may present a hazard and it can launch from a variety of platforms. 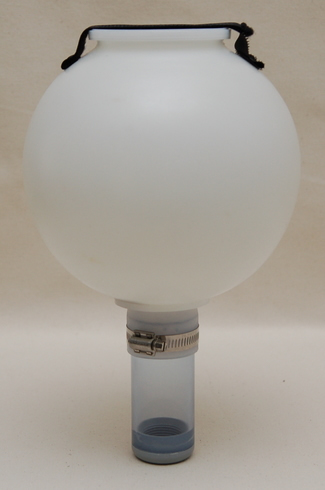 ATVs, four wheelers and airboats have been used to dispense Dragon Eggs using the PyroShot HS. All PyroShot models come with a standard magazine that holds ten rounds (or seven for the BackFire version). We also have available the FBS-250 large magazine, shown here, that holds 150 Dragon Eggs. This magazine fits all PyroShot hand launchers. The gas used for propulsion can be compressed air but is more commonly carbon dioxide (CO2) as this is more portable and is readily available in a variety of small cylinder sizes. By regulating the pressure of the propellant gas and changing the elevation angle of the barrel, the operator can control the range of operation. For more information about compressed gas click HERE. The PyroShot HS is extremely cost effective in Rx fire applications. At 25 cents per round, this launcher is less than 4% of the cost of the cheapest flares per shot. 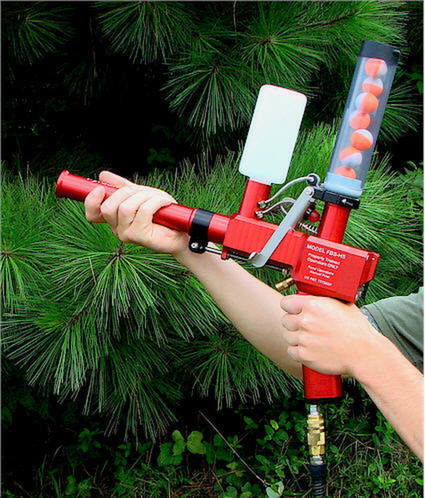 Areas where flares have not been cost effective can now be burned using this new launcher. Large drainage areas can also be burned without anyone leaving the ridges, and aerial ignition of some smaller hard-to-reach spots may no longer be necessary.